Richard Jackson is the firm’s managing partner with over 30 years’ experience in the patent profession, and sits within the engineering and tech practice group. He handles a range of subject matter in the mechanical and electrical engineering fields, including optics, software patents and internet-related issues. He has considerable experience in European Patent Office oppositions and appeal proceedings, including hearings. He has also been involved in UK High Court and Patents County Court proceedings with solicitors and barristers. Mr Jackson focuses on providing practical advice relating to drafting decisions, infringement and enforcement problems and foreign filing strategies. Mr Jackson’s practice covers a range of subject matter, from ‘simple engineering’, through material science-related projects (carbon flywheels) to complex IT-related aspects of network systems and telecommunications. Mr Jackson also specialises in designs and design copyright matters and understands the value of these often undervalued rights, having had considerable experience successfully enforcing both registered and unregistered design rights. Mr Jackson’s experience is accentuated by his membership of the International Federation of Intellectual Property Attorneys and of the Intellectual Property Office Industrial Designs Committee, as well as being a regular observer at meetings of the Asian Patent Attorneys Association. Mr Jackson studied both physics and chemistry at university. As such, he is well placed to advise on technical subject matter across the engineering and tech practice. 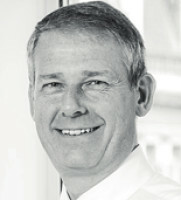 During his career, notable work includes successfully handling automotive applications, particularly in the electro-mechanical area of car dashboard displays, printer ink and the engineering of inkjet and laser printers, tooling and borehole monitoring applications in the mining industry and heavy-duty engineering in the defence and aerospace environments.